SolAero Technologies Corp., a provider of high-efficiency solar cells and composite structural products for aerospace applications, has announced that it has received a contract award from Johns Hopkins University Applied Physics Laboratory (APL) to develop an integrated solar wing for the AeroVironment Puma Unmanned Aerial System (UAS). The solar wing fabricated with SolAero’s advanced, high efficiency solar cells integrated onto a ruggedized composite structure is a direct form, fit, function and mass equivalent to the standard, non-solar wing currently available on the Puma. SolAero’s solar wing for the Puma will enable extended range, increased payload power and enhanced persistence in multiple engagement scenarios for Puma’s end users. Flight testing and field validation will be performed in early 2018. SolAero and its subsidiary Alliance Spacesystems (Alliance) developed the prototype solar wing, achieving mass parity with the standard, non-solar Puma wing under a joint Cooperative Research and Development Agreement (CRADA) with APL and a DoD customer. SolAero’s prototype Puma solar wing performed well and demonstrated power generation equal to engineering estimates during flight tests at Yuma Proving Grounds (YPG) in mid-2017. 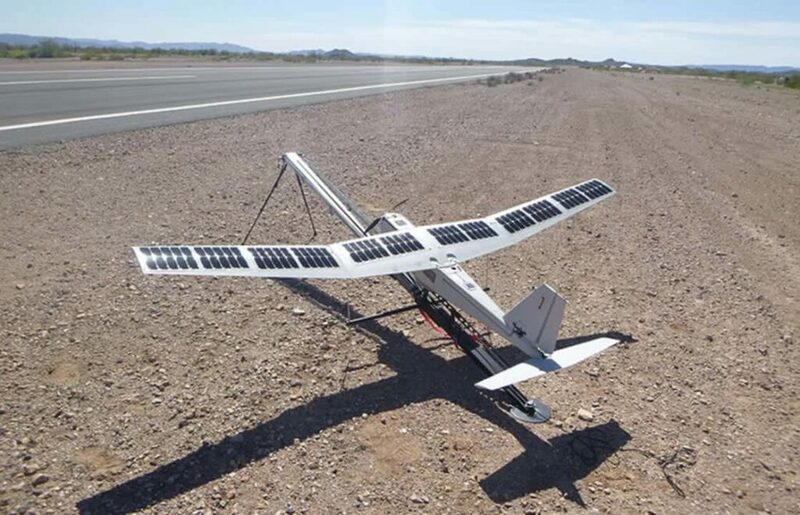 SolAero and Alliance have now successfully demonstrated solar wing design and fabrication capabilities on three distinct UAS platforms, underscoring the flexibility of the solution for a range of applications.